Flesh, Bone, Metal, and Rubber. The sun was rising and I was about to climb my last hill before work. I stopped in front of the Ivywild to remove my hat and gloves. 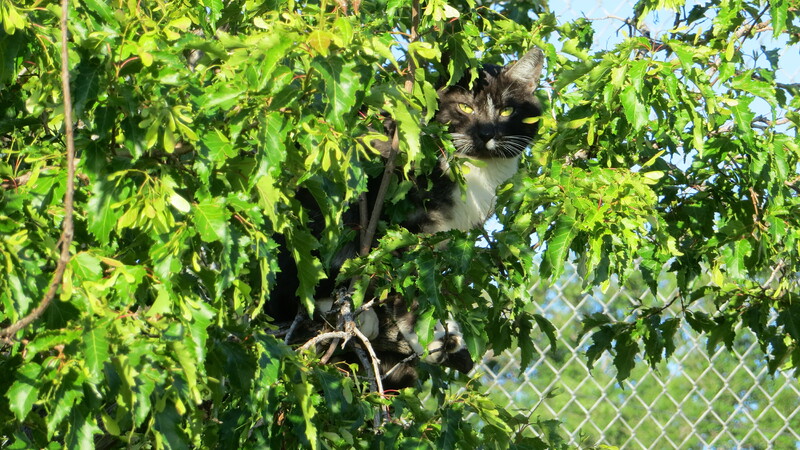 I glanced at the tree and there was this cat, chillin’ on a branch. 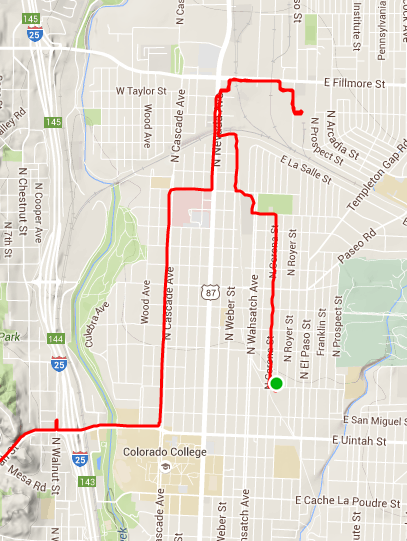 My grocery route looks like a firecracker. 30 lbs. of meat, milk, and grains up the hill. I honestly didn’t intend to go to Joel Brown’s wake. The frequency of memorials has taken it’s toll. I know my memories will always revive his image and voice every time I pass the Dogtooth coffee shop or visit with mutual friends. I found that his friend-since-childhood didn’t have a ride to the wake and I had to get him there. That’s just how I’m wired. I knew I would regret it if I didn’t. Joel was a guy that talked to you like you were his best friend. Story after story emerged about how he touched people in his community with his simple wisdom, endearing broken English, and tenacious friendship. Everybody he met was his best friend. Joel changed the lives of the people around him in a profound and positive way. I got a sense that the loss was not only to friends and family, but the community at large. I walked a way in tears of joy at the beauty of a life well shared and a renewed validation of works. Vocal passing courtesy on the trail hasn’t worked to well lately. I can’t seem to dial in my holler-volume. Either they can’t hear me or they get startled by my voice. Went to my LBS to buy a classic style bell. The musician in me wants to get several pitched bells and play a tune when I pass by. Maybe even a cowbell. I thought of a secret new one on the last ride home. Off to tinker! Just finished my first 500 miles with a 100 mile week in the rainiest season ever. Found a pair of Lake 303’s for the wet and cold and will be breaking them in during the hot days to come. I think I’m ready to be a steady commuter and I’m feeling 23. My next challenge is a week long gig – seven days of cycling.